Despite its enormous potential, there are several factors which limit the use of Artemisia annua worldwide. The ‘in plant’ concentration of artemisinin is very low, ranging from 0.01 to 1,2% in dry weight, which renders this molecule as a relatively expensive substance to produce (in the amounts necessary for effective therapeutic results). Chemical synthesis of artemisinin is an alternative, but the high cost of production means it is not cost-effective and limits its equitative distribution. Additionally, the life-cycle of the plant is approximately 8 months and artemisinin is only (mainly) produced just before the blooming of the plant itself. Therefore it is only possible to cultivate Artemisia annua once a year, further exacerbating the low yield problem. These challenges have been the focus of our research team at Sequentia over the last few years. 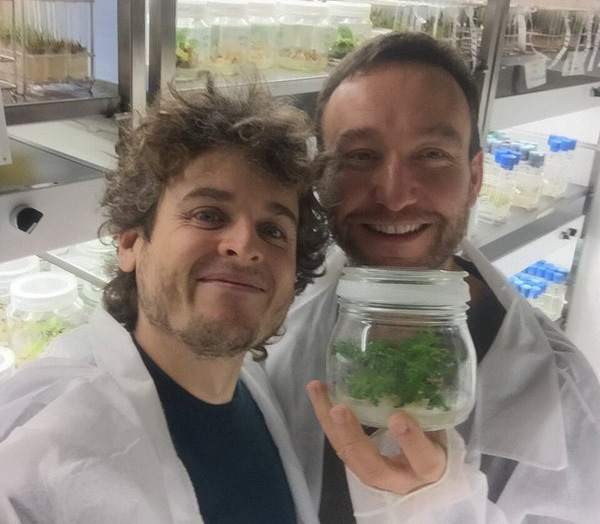 We have been able to turn biopharming (and specifically tricopharming) into a real alternative to produce higher yields of artemisinin, a solution we have named Artennua.